Model Rocketry is our business at Aerospace Speciality Products! For over two decades Aerospace Speciality Products ("ASP") has provided quality model rocket kits, components and supplies, along with great and personalized service to the model rocket community. Our model rocket kits range from introductory kits with the beginner in mind to more advanced models for the experienced builder. Made with top-quality parts, our kits also feature complete and detailed instructions - you'll never wonder "what do I do next"? We design model rocket kits for the modeler who actually wants to build rockets, as opposed to just putting together a prefab kit - our philosophy is that the more you put into a model, the more pride and enjoyment you get out of it! 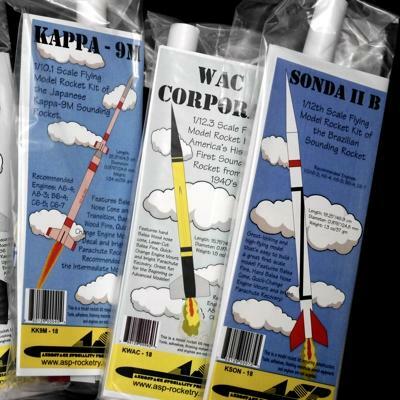 For the educational customer we provide discounted bulk packed model rocket kits, as well as supplying you with practically anything else you may need to use model rocketry in your classroom. If you're a teacher, scout leader, home schooler, we can help you use model rocketry to bring the fun of science to your kids! 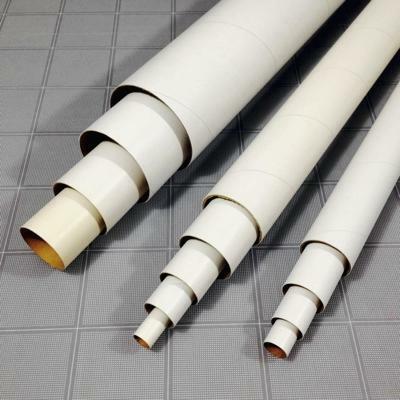 We also carry a wide variety of model rocket parts and materials for bringing your own designs to life: Industry-standard spiral wound model rocket body tubes, precision turned wood nose cones and transitions, centering rings, launch lugs and much more. 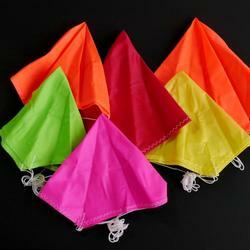 If you're into model rocket competition, Aerospace Speciality Products is your go-to source for ultra-thin and lightweight competition parachutes, thin laser-cut fiberglass fins and other items to help you bring those coveted trophies home! Aerospace Speciality Products is an officially recommended vendor for the Team America Rocketry Challenge. Selection, quality, service and knowledge - whether you're just learning about rocketry, or a seasoned rocketeer, Aerospace Speciality Products has something for you. 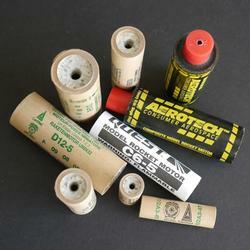 We bring nearly 50 years of model rocketry experience to you! Visit our secure online store for a complete look at our model rocket kits and other products, and safe and easy online ordering. For more information click here to contact us!